A discussion during a Sept. 28 conference call with leaders of Pennsylvania’s natural gas and manufacturing industries shed light on the industry’s concerns about the future of the natural gas industry in the state and how it hinges on whether or not pipeline projects that will transport natural gas and other gas byproducts to market get built. Leaders of the Associated Petroleum Industries of Pennsylvania, the Pennsylvania Independent Oil and Gas Association and the Pennsylvania Manufacturers Association discussed the significance of pipeline projects in Pennsylvania and stressed how additional infrastructure to bring the state’s natural gas to market would support American jobs, manufacturing and clean power goals. At least 14 major pipeline projects in the northeast are under review by the Federal Energy Regulatory Commission, all originating from the Marcellus and Utica shale plays. “Our greatest challenge is the lack of pipeline infrastructure to connect natural gas producing wells to get it to market; 25-30 percent of working gas wells in the state still don’t have pipeline takeaway capacity,” she said. Some projects, such as Atlantic Sunrise, will deliver gas in the northeast, she said, while UGI’s PennEast pipeline already has been successful. 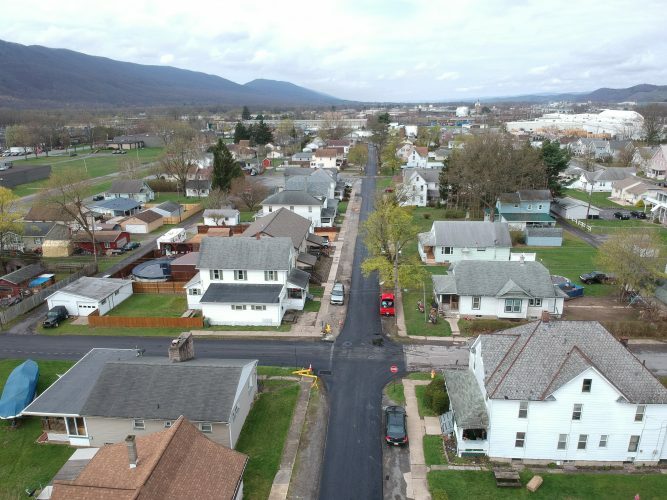 “UGI recently approved building a pipeline from Lycoming County to bring more electricity to local users and use clean natural gas,” Wissman said. “It doesn’t only help gas get to market, it also helps with the state impact fee” received by localities where Marcellus Shale natural gas drilling is happening, Wissman added. According to a Pennsylvania Independent Fiscal Office report on the outlook for the impact fee, it is in decline due to fewer wells being drilled partly because an “inadequate” transport system, Wissman said. “If additional infrastructure is brought online, new wells could increase and impact fee collections would rise accordingly, helping communities across the state,” she added. According to the U.S. Department of Energy and U.S. Energy Information Administration, greenhouse gas emissions are at their lowest level in 20 years, a “direct result of the use of natural gas produced by hydraulic fracturing,” Wissman added. The Mariner East II pipeline will deliver liquid gas byproducts from eastern Ohio to Pennsylvania, including butane, which is used to power homes and businesses, and methane, which is a fuel source for the manufacturing and agricultural industries, said Dan Taylor, Pennsylvania Manufacturers Association president. “We have gone from producing a billion cubic feet of gas per day in 2010 to 13 billion cubic feet per day today,” Weaver said. Production continues to increase as more wells are put on line, but there is not enough takeaway infrastructure for the gas, he added. He emphasized that safety is the first priority of companies that transport gas. “The proof is in the statistics. The United States Department of Transportation has said pipelines are the safest way of reaching customers nearly 100 percent of the time,” Weaver said. With an “incident rate” of .00003 percent, leaks from transmission lines have been reduced by 94 percent due to the use of protected steel, he added. “Manufacturing uses energy to make finished goods from raw materials,” he said. The abundant energy beneath Pennsylvania is affordable and will help to bring jobs back to the commonwealth, he added. “The challenge today is availability. Pipelines are pointed upwards from the Gulf of Mexico, because that is where we have been getting our gas from for years, and so insufficient pipelines from Philadelphia means we are paying higher prices than if we were able to purchase it in-state,” Taylor said. “That is why Shell is building a cracker plant in southwestern Pennsylvania. That plant will crack methane off to create ethylene. Each step of the petrochemical processing adds value, the way the steel industry adds value by making stuff other people make stuff out of,” he said, but it all depends on the pipelines being built. The potential cost savings alone “will draw companies back to the United States from where they are operating overseas,” Taylor said. “This project represents a century of prosperity and growth opportunities, jobs, bringing us back to a super power and disentangling ourselves from hostile foreign entities, and that is why we need to allow our private industry to build this infrastructure,” Taylor said.